Related to the German Shepherd, the smallest of our world’s largest dog breeds stands 26 to 30 inches and typically weigh up to 140 pounds. Though not recognized by any major kennel club, they are acknowledged by rare breed organizations and are known for their intelligence and stable temperament. 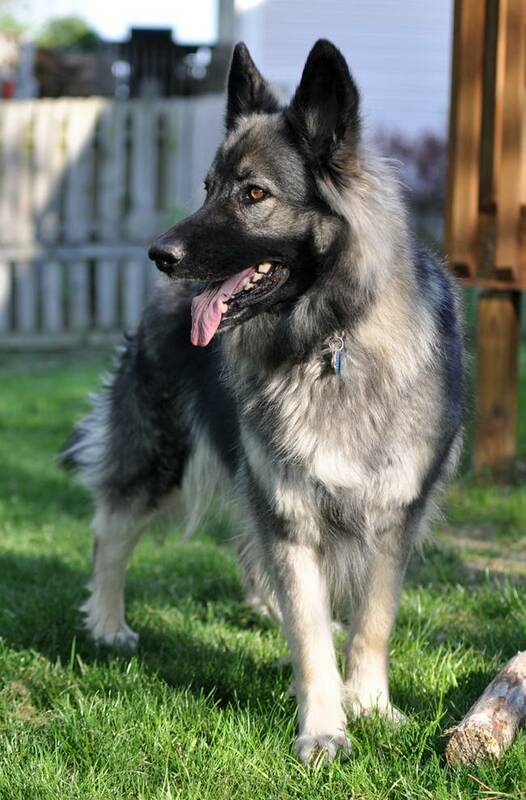 Bred as companions, these dogs have a high energy level and are a great family dog. Their coats come in a multitude of colors and they often work as therapy or search and rescue dogs. Originally bred as a cattle dog, this breed generally reaches 26 to 29 inches tall and weights between 130 and 140 pounds. Boasting a powerful, muscular body, this breed of dog is sociable, active, calm, and dignified. 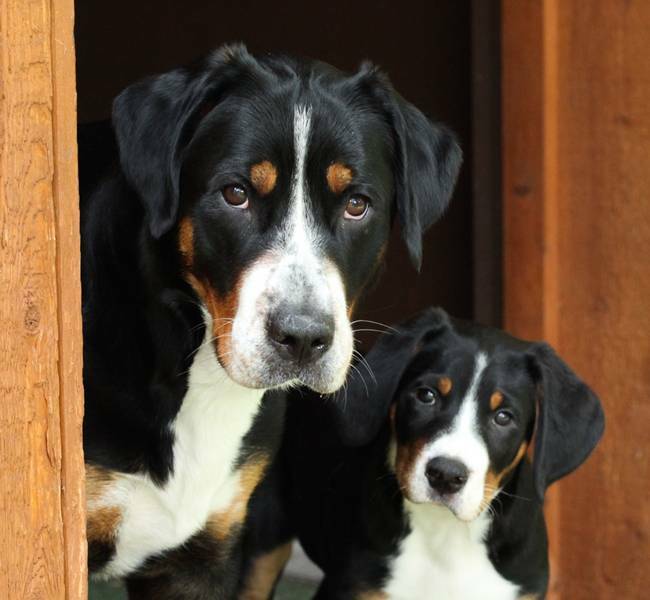 These dogs make great family pets and require less exercise than most dogs their size. Kangals are native to Turkey and have seen a recent increase in popularization worldwide. With a height of up to 32 inches and weighting between 110 and 145 pounds, these dogs are excellent family dogs that are territorial and at times aggressive to strangers. 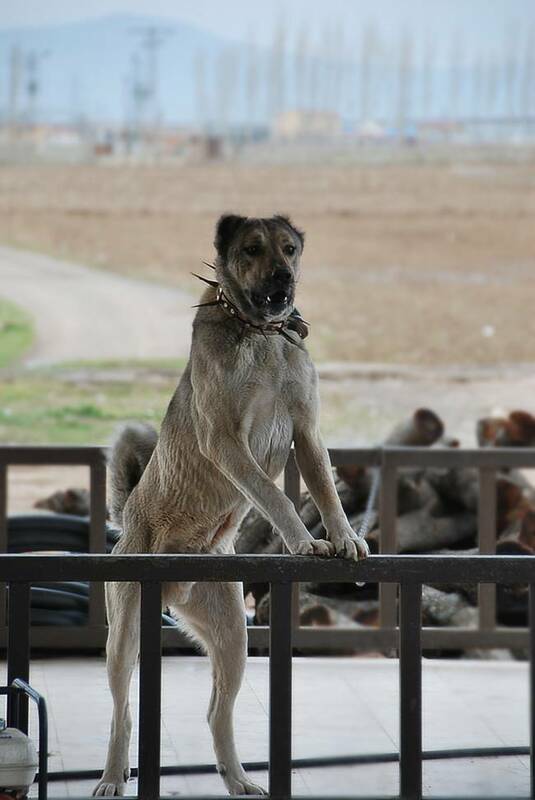 Kangals so said to be the larger relative of the Anatolian Shepherd, a breed that is more readily available to those outside of Turkey. Known for a distinctive white coat, these dogs were originally bred as sheep dogs and are built to withstand extremely cold temperatures. This is one of the oldest breeds of dogs in the world, with the first descriptions of dating as far back as 1407. 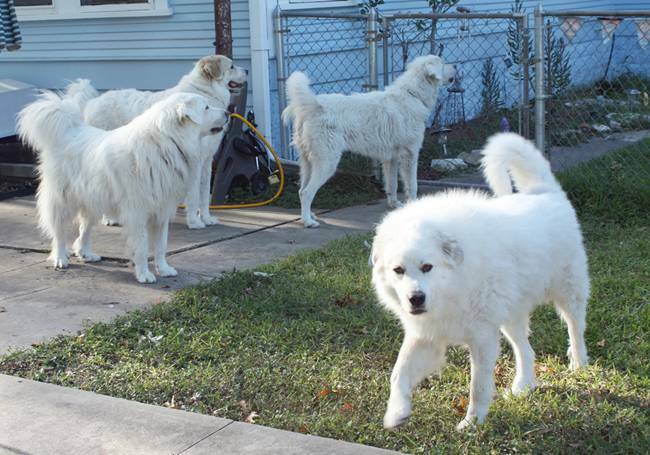 Great Pyrenees typically stand at around 32 inches tall and weigh up to 120 pounds. They are known for their affectionate, confident, and gentle temperament and can be very protective of their family when necessary. 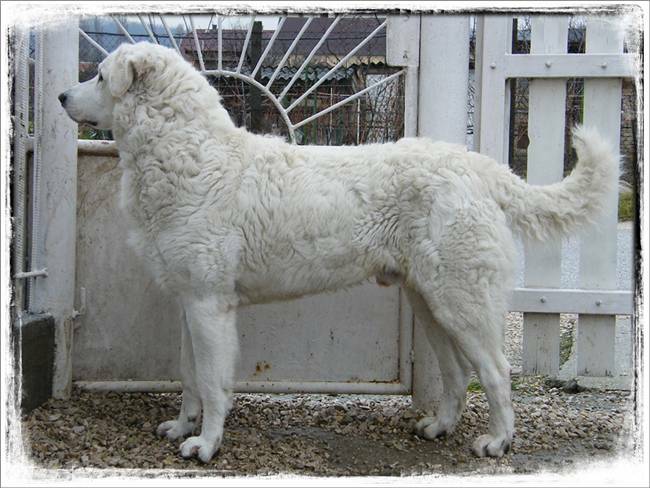 Perhaps one of the least recognizable breeds of the largest dogs in the world, the Kuvasz was nearly extinct during World War II. Originating from Hungary, these former royal guard dogs stand at about 30 inches tall and weigh between 75 and 150 pounds. These dogs have a dense white coat that ranges from wavy to straight in texture and their eyes are almond shaped. With proper training and socialization these dogs can make an excellent family dog, often described as having a clownish sense of humor. 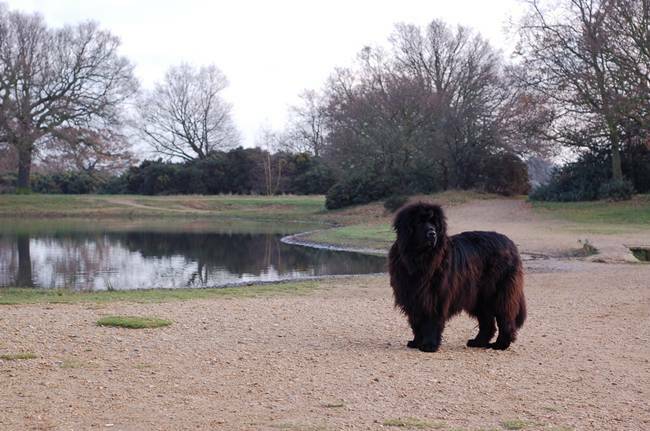 Newfoundlands are perhaps the most popular or recognizable of the world’s largest dog breeds. Made for the water, these dogs have webbed feet and and were originally bred for water rescue. Considered one of the strongest dogs in the world, they stand at about 26 to 28 inches and weigh between 130 and 150 pounds. These dogs make excellent family pets, are extremely laid back, and are one of the easier dogs to housebreak. Said to be the tallest dog in the world, the height of the Great Dane reaches 34 inches and their weight ranges 120 to 200 pounds. 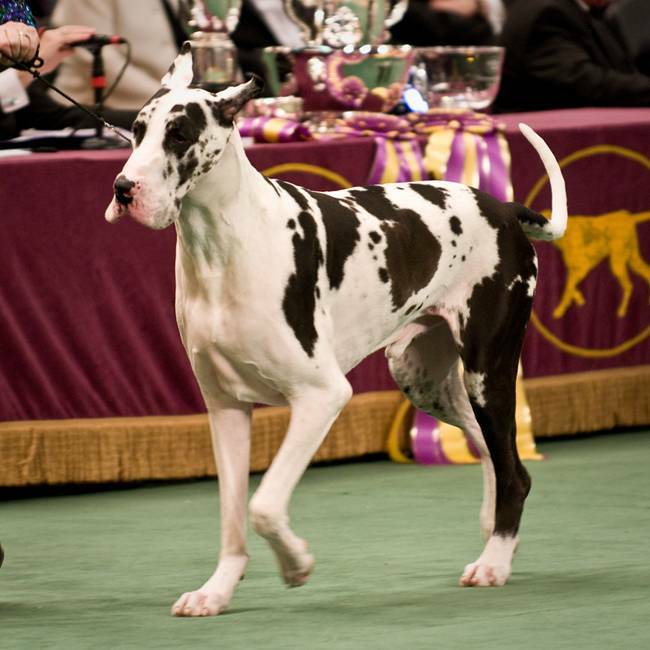 A Great Dane by the name of Zeus is the current world record holder in height, measuring a staggering 44 inches! The heritage of this breed can be traced back nearly 3,000 years, just another reason why it is one of the most intriguing on our list. The coat of this dog ranges in coloring, from fawn to brindle to blue. Typically well-mannered, Great Danes are very loving and gentle and, with the proper training, can be great around children. 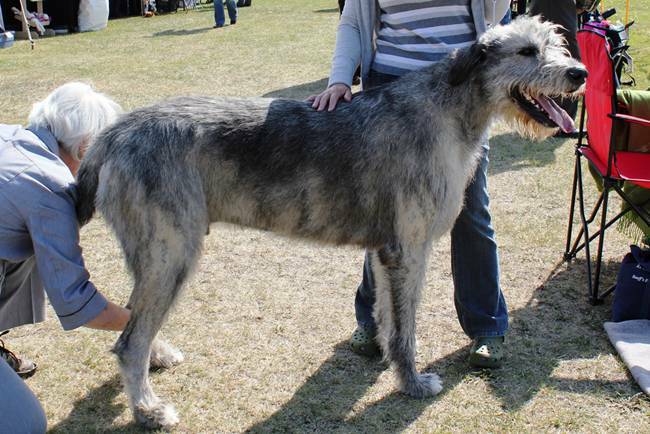 Also one of the tallest breeds in the world, these dogs can reach upwards of 32 and 36 inches in height and typically weigh around 150 pounds. These dogs are thin in appearance and are described as having ‘great size and commanding appearance’. Originally bred to hunt wolves, the Irish Wolfhound is extremely friendly, energetic, and even-tempered, making them a great family pet. While their appearance can be intimidating (they may reach 7 feet tall when standing on their hind legs!) these dogs are patient and sweet, but may only live up to 10 years. 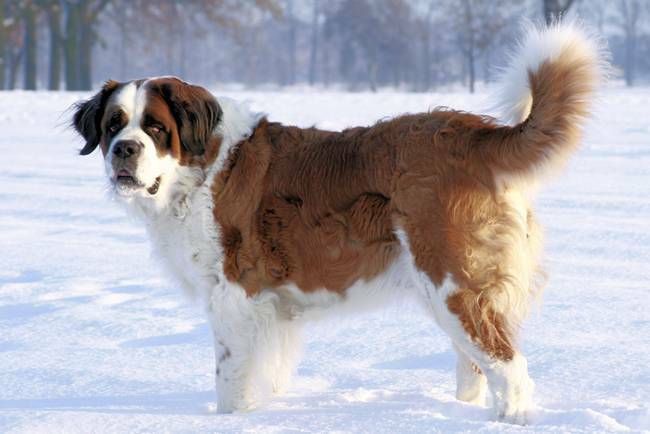 Another one of the most widely recognized breeds of large dogs, Saint Bernards are gentle giants and easy going, making them a popular pet choice. Standing anywhere between 27 and 36 inches, these dogs were originally bred for rescue and can weigh up to 265 pounds, making them one of the largest dog breeds in the world. Their coat is typically redish or mahogany brindle in color with white and they hve black shading around the face and ears. The world’s largest dog breed are members of the mastiff family and if listed separately, they would dominate this entire list! 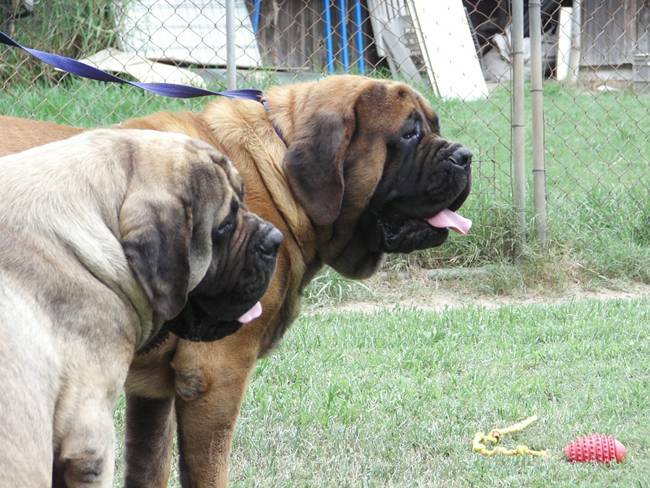 Some of the most notable mastiffs include the Neapolitan mastiff (31 inches and 165 pounds), the English mastiff (averaging 250 pounds), the Tibetan mastiff (31 inches and over 200 pounds), the Spanish mastiff (33 inches and around 200 pounds), and the Pyrenean mastiff (32 inches and upwards of 220 pounds). Mastiffs are incredibly loyal and distinctive animals, but they do have a reputation of being aggressive towards other animals and humans if not properly socialized. 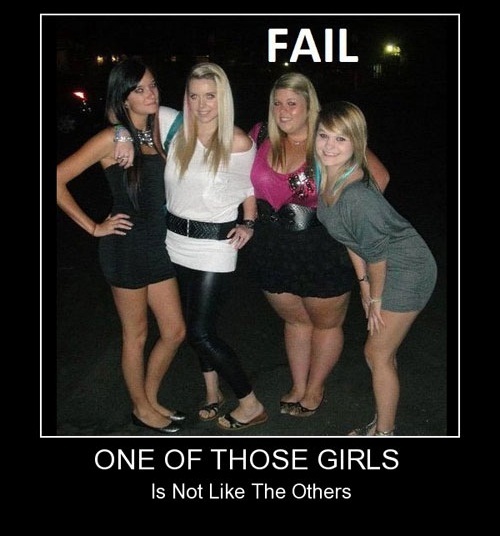 We’ve all heard the old adage, ‘don’t judge a book by its cover’, and same should be said for large dog breeds. They may seem intimidating and overpowering, but the majority of these breeds are loyal, loving animals that will shower you with slobbery kisses as much as they can. People choose to own one of these giants for many reasons, perhaps the most common being for their fierce loyalty, mild manners, and guarding nature. Large dog breeds are also often excellent family dogs, as they are not affected by kids tugging on their tail and typically have a loving, patient temperament.